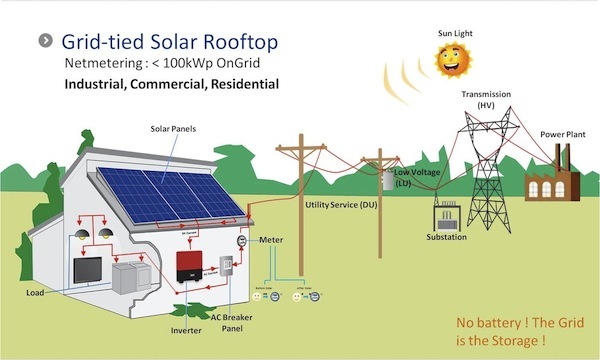 Grid Tie solar power systems use solar modules to generate solar power. 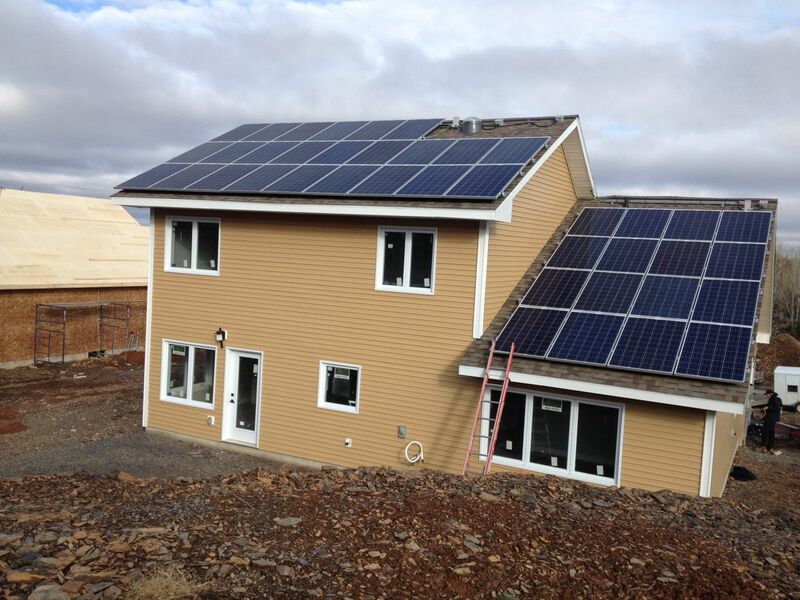 An inverter synchronizes the power from the solar array with the power coming from the grid off-setting the amount of power you are taking from the grid. If you are using less energy than you are generating the extra energy goes onto the grid and your meter records the surplus. If you use more power than you are generating at a later time, the amount of energy you contributed to the grid will off-set your next power bill. It is possible to have a grid-tied solar power system combined with a battery back-up. This way, in the event of a power outage you will have some energy in reserve that can be used to power critical loads such as lights, garage door openers, kitchen appliances, refrigeration and other smaller loads.